Folk Rock band, Galley Beggar are pleased with the production progress of their 2nd album – It’s almost finished! There will be a nationwide summer tour to promote the album. Any suggestions of towns/cities they should head to? We had a wonderful time at BBC Radio Shropshire on Sunday, performing for Genevieve Tudor’s Sunday folk show. We acoustically performed Willow Tree, Lucy Grey and Sir Richard. During our stay at Genevieve’s (who very kindly let us stay in her house that night) and much to our disappointment Genevieve told us of plans by the BBC to cut regional programmes after 7pm every day, instead just having the national stations aired – Thus eradicating all the wonderful specialist, regional programmes like Genevieve’s. We urge all of you who care to write to the BBC to protest against these plans. Galley Beggar had a fantastic gig at the Jamboree Club on Saturday in Limehouse and hope to play there again soon! When a new band states in their press release that their major influences are Steeleye Span, Fairport Convention, Jethro Tull, Led Zeppelin and Pentangle, you might think that they are setting themselves a high bar to reach. However, new and unsigned band Galley Beggar are well on their way to emulating the greats of the Folk Rock genre. 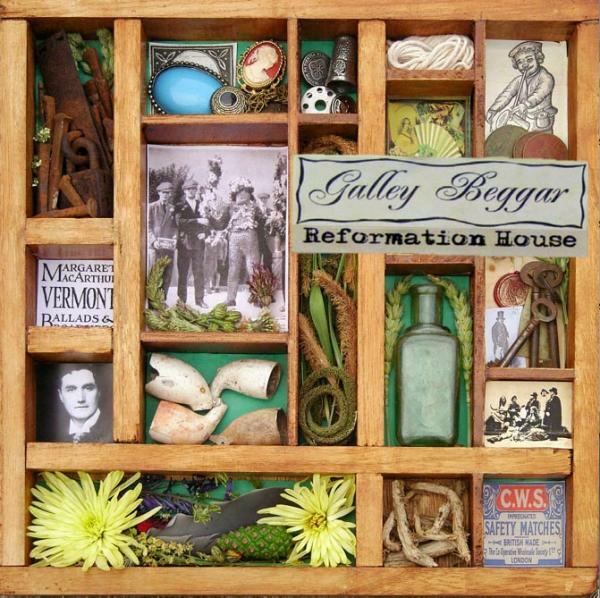 For any fans of the traditional Folk Rock genre, the addition of Reformation House to your record collection can only be a good thing. via Reformation House – Galley Beggar. Your new source for everything Galley Beggar related, all in one place!